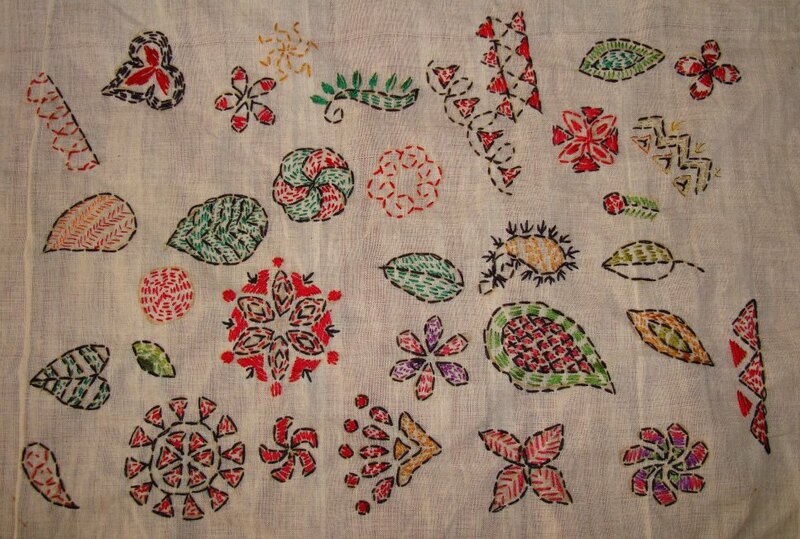 Today I finished the last few kantha work motifs. The kantha sampler is completed for the time being. 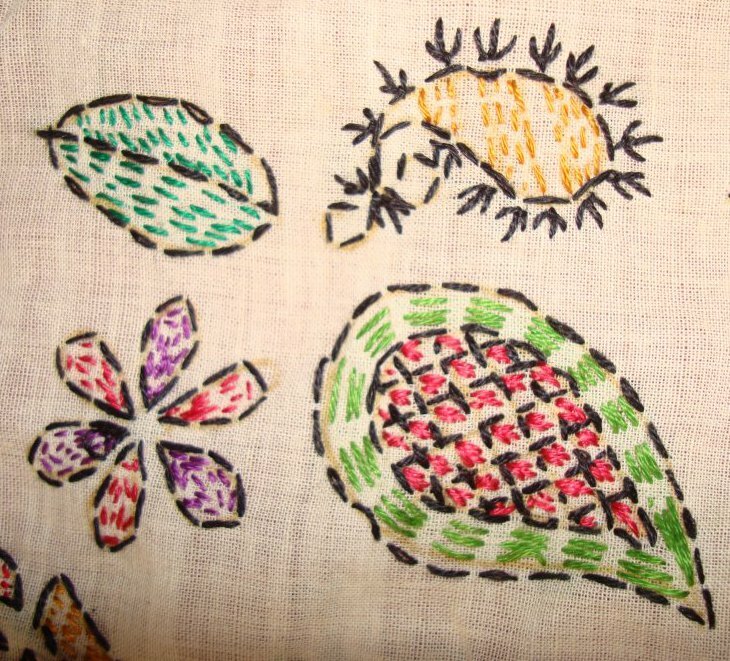 Whenever a different type of kantha work is seen, I ‘ll add those to this sampler. I am happy that I was able to make a start on my goal of doing embroidery samplers. 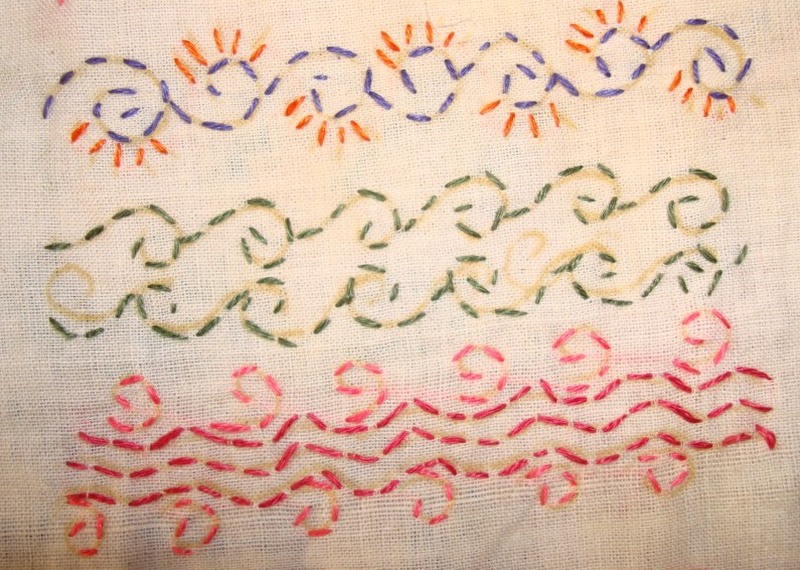 After finishing this kantha work sampler, I felt a sense of satisfaction. As they say, a road to long journey, starts with small steps. 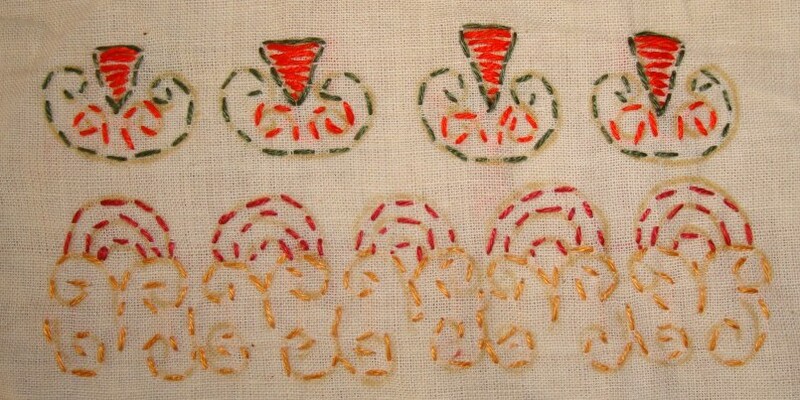 Today I worked on some small kantha work motifs. Showing the few pieces I completed today. 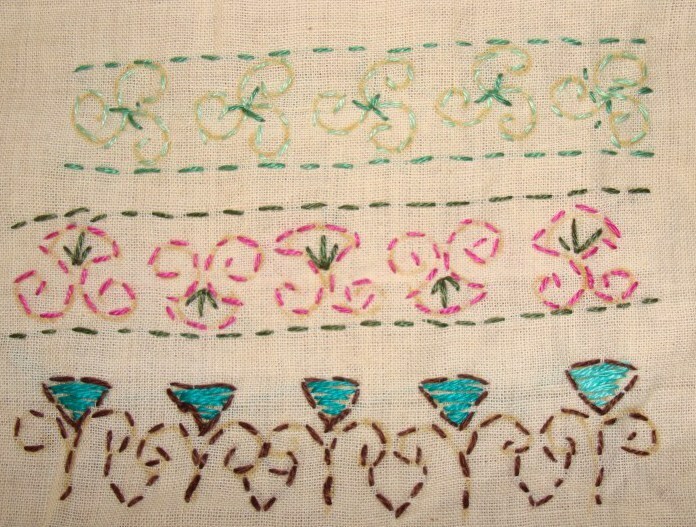 The motifs were outlined with black thread in running stitch. I did not use a lot of colours for these motifs. Still working on the last few motif patterns. 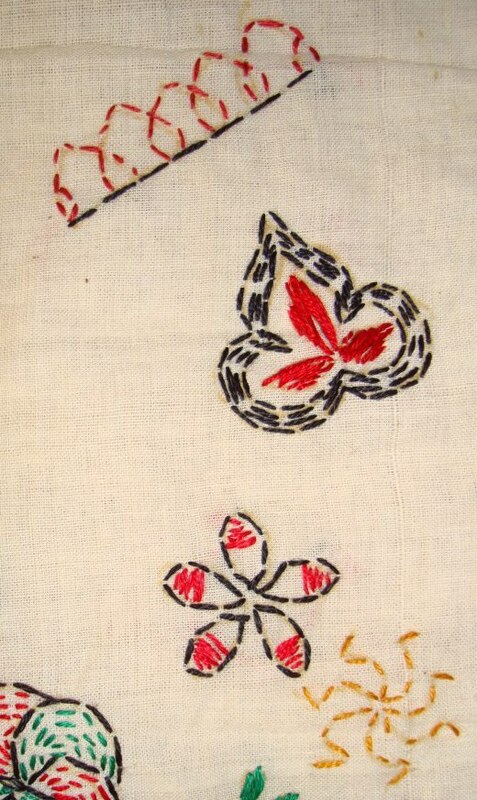 TAST 2012 Week 10-running stitch-5 kantha embroidery. I finished kantha work on spiral borders today. I had not drawn outlines for any of the borders, but later found that adding outlines made them look better. 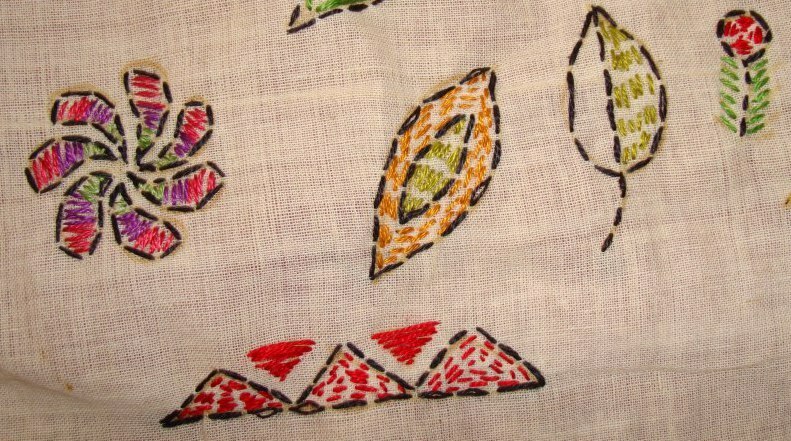 To work on kantha embroidery sampler was a thought for quite some time, this TAST challenge gave the intiative to do that. With these kantha work on spiral borders is completed. 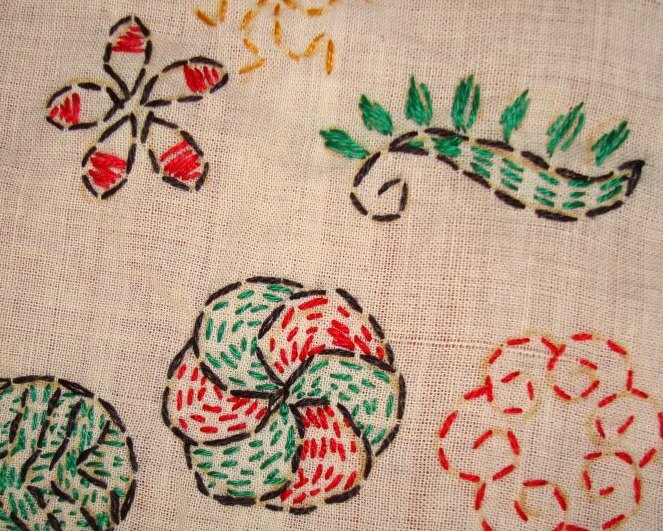 I am thinking of working kantha work on small motifs tomorrow. 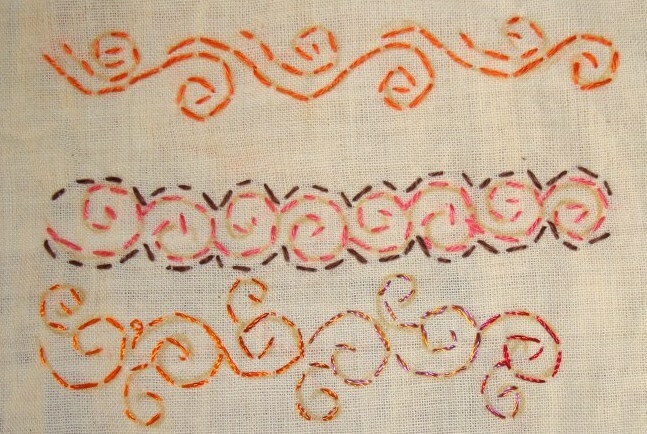 I worked some kantha embroidery today on small spiral border patterns. These borders can be used separately are with other motifs are borders. I actually enjoyed working on these border patterns. 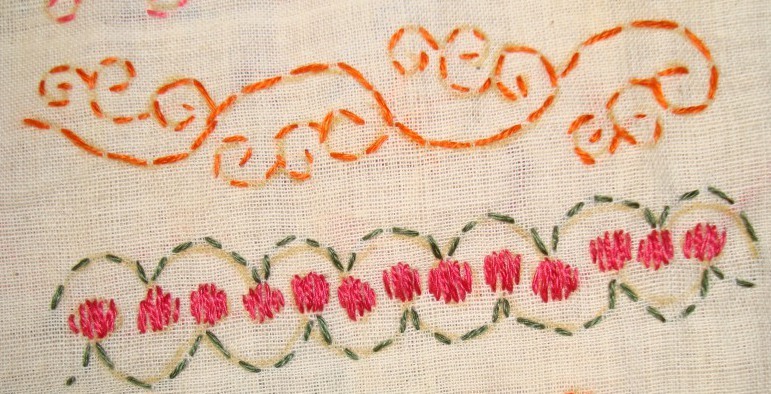 These borders can be combined with some other stitches also. A few more borders , tomorrow. 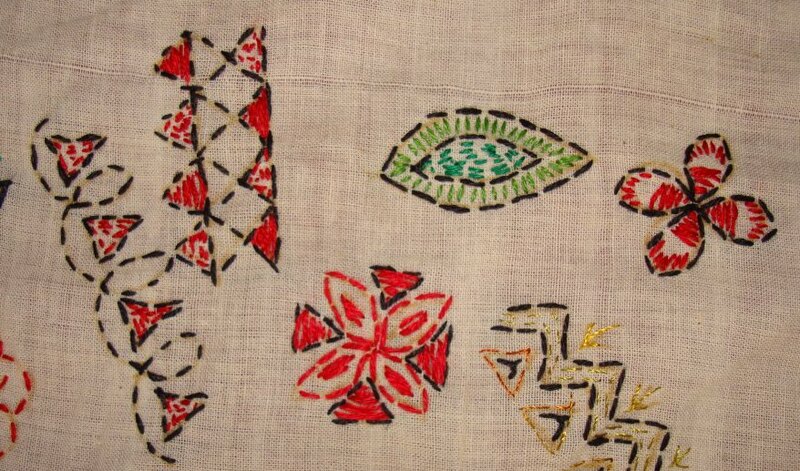 I have done a few more borders in kantha embroidery. 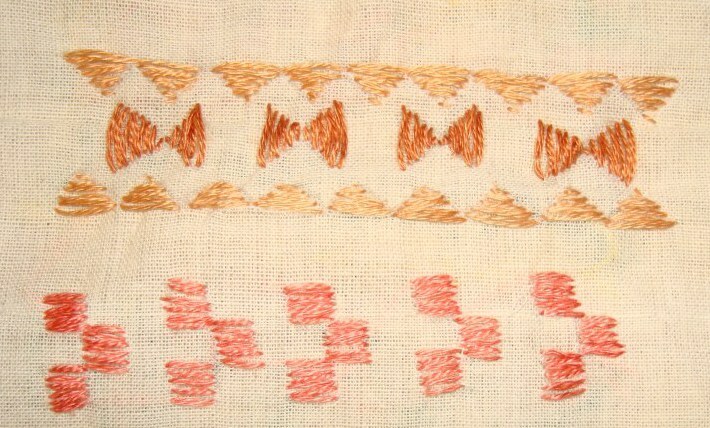 These borders are inspired by woven ikat patterns. I had tried a few on pattern darning also, earlier. 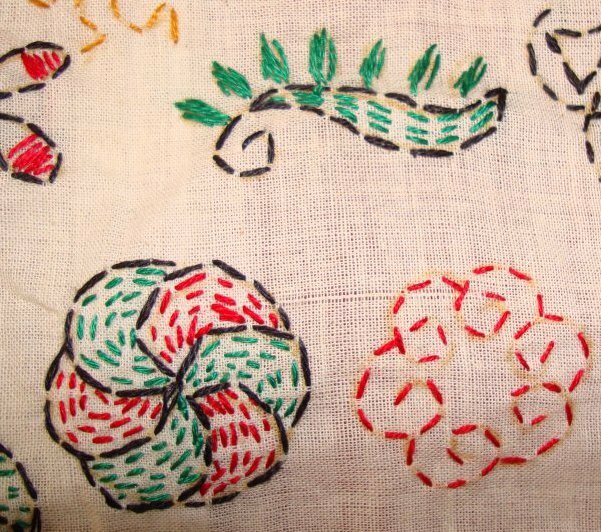 They look similar to phulkari embroidery. An dull border can be made brighter by adding these simple borders. I‘ll try some this running stitch on some spiral borders tomorrow. 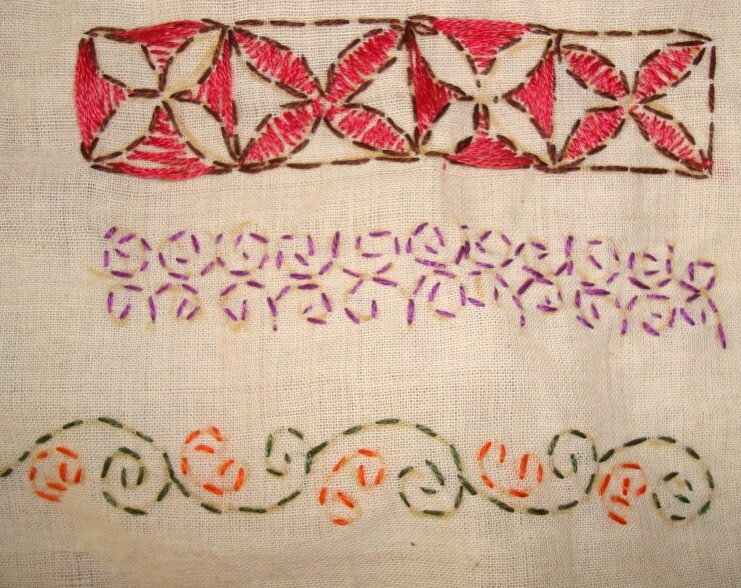 This kantha embroidery sampler is not of the same width as my other TAST stitch samplers, I want to work some borders, outlines, and some motifs together on kantha embroidery on this sample cloth. The fabric being cream, wide range of colours can be used for the samples. 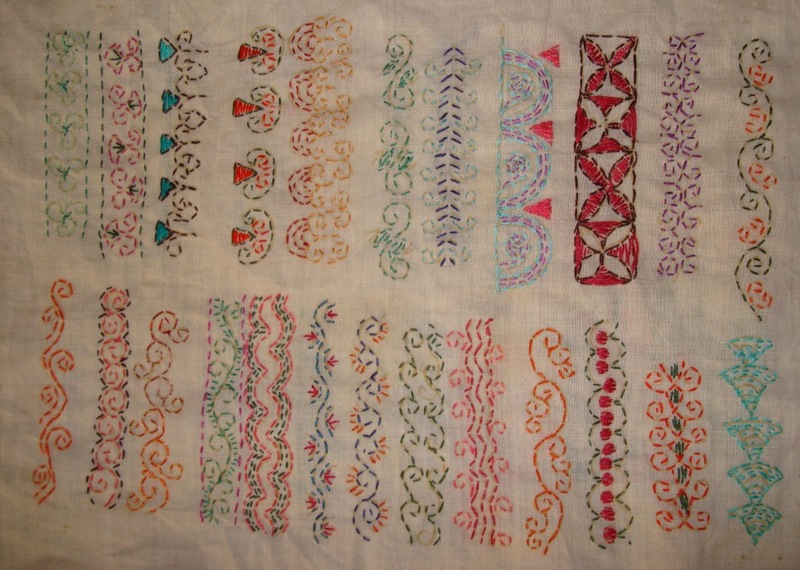 These are some more kantha border samples. 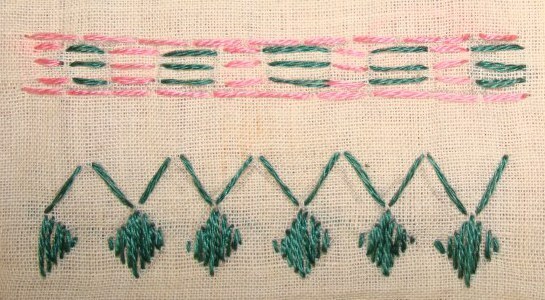 4-running stitch on curved line, and stitch worked on a border pattern. 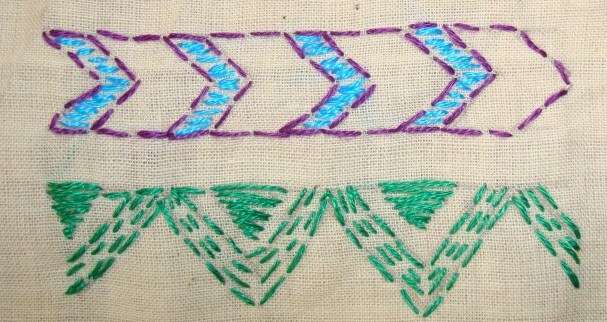 5-tried this border with two colours, a combination of filling stitch and line stitch. 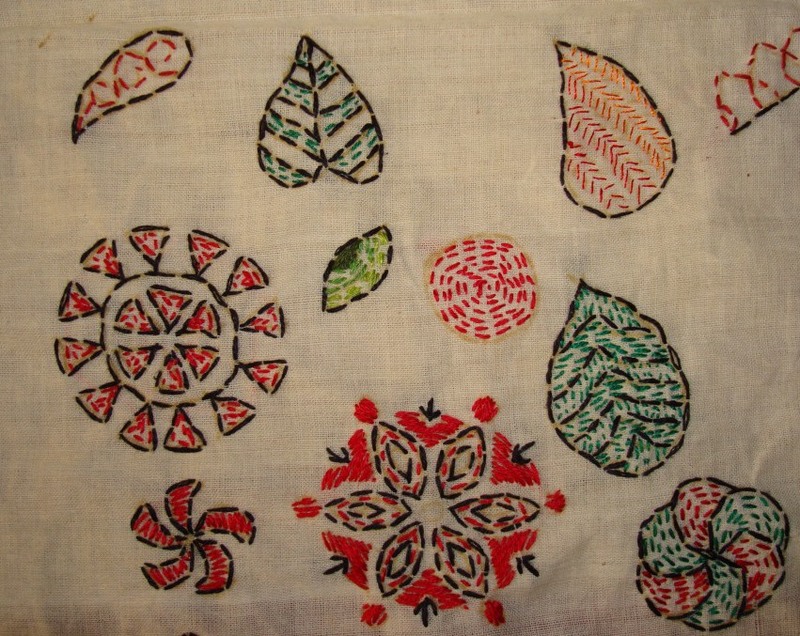 7- generally mono colour or shades of same colour are used in kantha work, sometimes contrasting colours are also used. The curved row, I had worked this on a medium size fish pattern years ago, liked it very much, but that work is not with me to be shown now. A few more borders are still in the idea stage. The tenth week stitch of the TAST 2012 challenge by SharonB is running stitch. 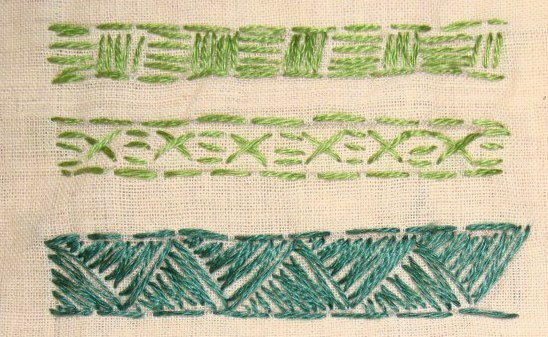 I had worked some running stitch samples during the previous TAST challenge. It was worked on even weave cloth. 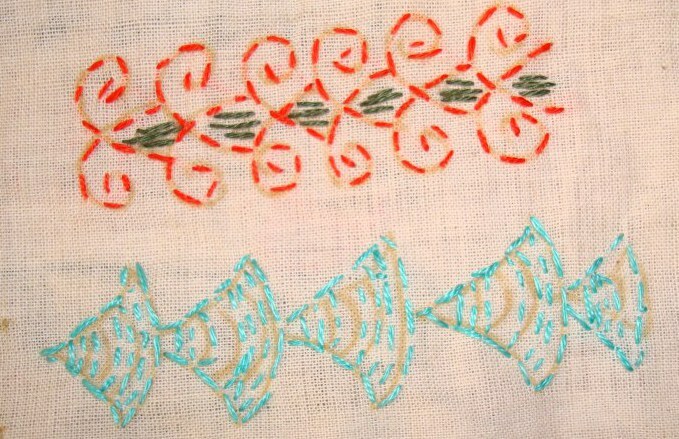 I had also worked on some pattern darning samples for stitch explorer challenge. 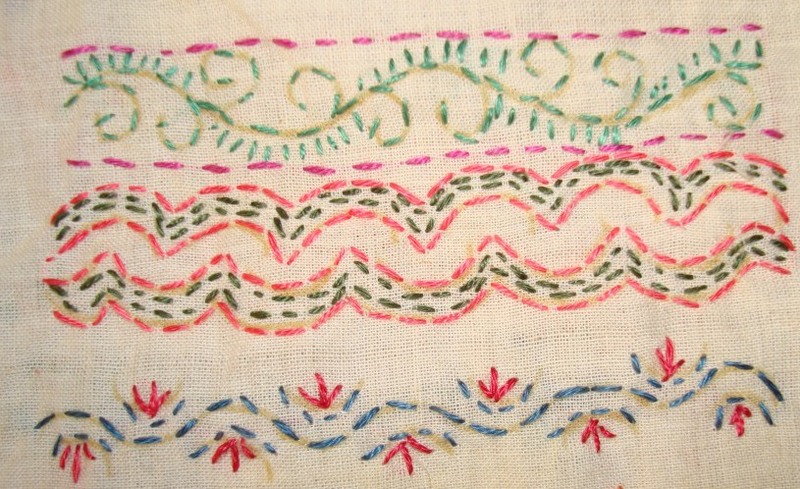 A long time thought was to work some samplers on Indian embroideries. 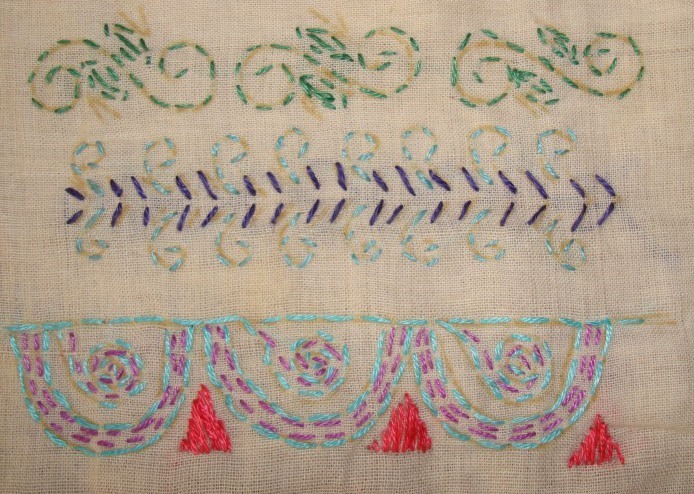 With this week’s running stitch, I think it is the right time to do a kantha embroidery[running stitch] sampler. 2- 1st and the 3rd row- the direction of the stitch is alternated. Running stitch combined with cross stitch in the middle row. 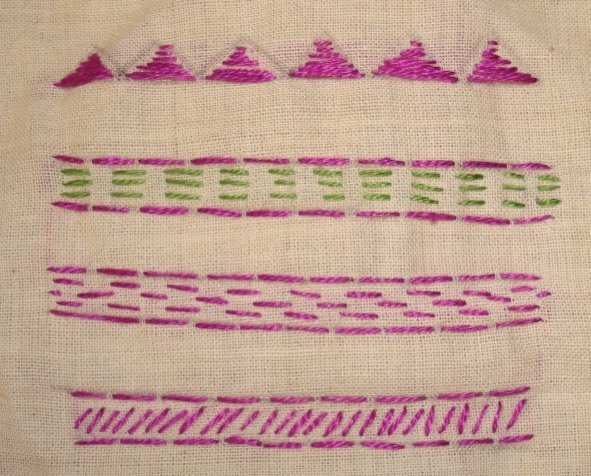 3- Running stitch is done in two colours in the top row, and a kantha border is worked in the second row. Try and work some more borders tomorrow.